Armed police boarded the CSL Melbourne at the Port of Newcastle this morning and turfed off five protesting Australian seafarers. They were replaced with a foreign crew and the ship departed for Singapore a week later than planned. 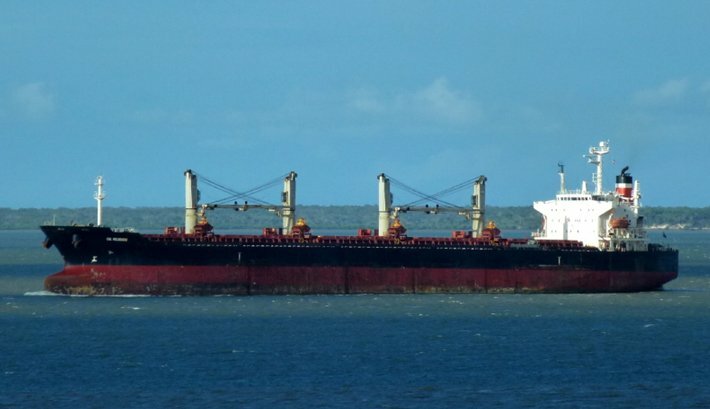 The five were protesting the crew change, as part of an ongoing debate in Australia on the current government’s plans to relax laws on the use foreign seafarers. This marks the second time in a month that Australian crew have been forcibly removed from ships, and replaced by foreign seafarers. The Portland ship had a similar story, which came to a police raid style end on January 13. “This is a disgraceful episode in Australian history, when the forces of the state and the police can move on Australian workers, throw them off their legitimate place of work and replace them with labour that will be paid $2 an hour,” Maritime Union of Australia assistant union secretary Warren Smith said. Hopefully, the crew will be charged with tress-passing.